French Bubbles - We took a bus tour of the Loire Valley in France several years ago. We visited several small champagne houses and several large ones. Delicious wines that are poured not as a sip but as a glass for tasting. 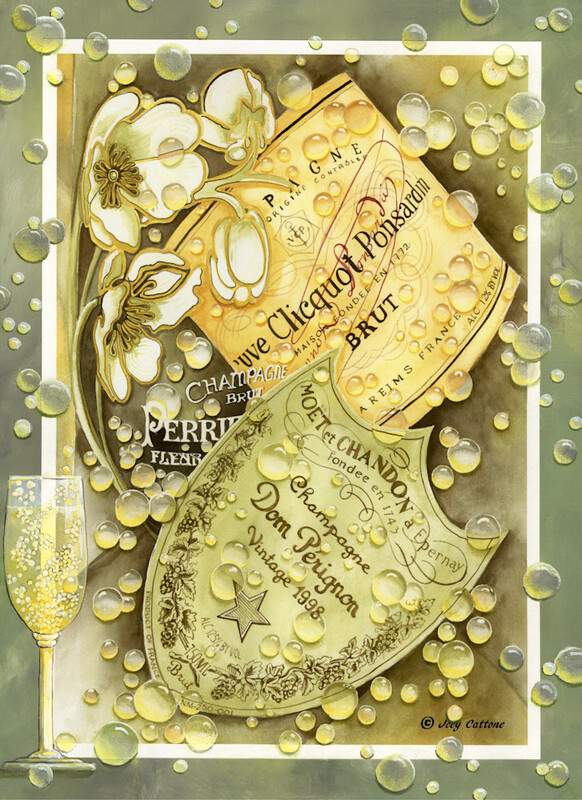 This painting was a toast to my love of French Champagne. The original was done in Fluid Acrylics on watercolor paper. I created an entirely new presentation with a multi step process involving a fine art giclee and paint. The piece offered here is the result of the experimentation and revision of the original.